Shakespeare once famously wrote, “A rose by any other name would smell as sweet.” As we saw Quick Base unveil its brand update at the Empower conference earlier this year, this quote really struck us. As we examined the idea of what’s in a name for the new Quick Base, we realized that, because the name itself didn’t actually change, the question we should be asking is: what’s in a space? 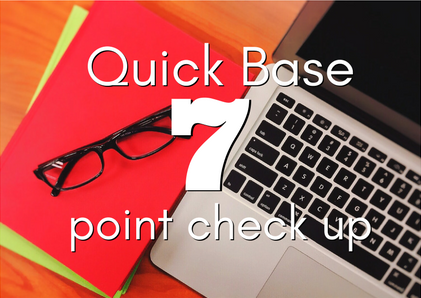 This blog will take a look at the new Quick Base brand and highlight a few of the changes you’ll want to know about. Your first question is probably: why bother changing your name from QuickBase to Quick Base if all you’re doing is adding a space? That’s a great question. And from their perspective, they have some really solid reasoning for making the change. One external reason for the change had to do with differentiating themselves from QuickBooks. Since there’s no affiliation, they thought changing up the way “Quick” looks in their name would go a long way in accomplishing that. We are still Quick Base, but we’ve made it into two words to signify our strength as your foundation or platform for app creation (or “Base”) and the speed with which you can build and continually adapt your apps. When you look at it from that perspective, the brand change makes complete sense. From a Quick Base Service Provider perspective, this brand update is all about customer focus and looking for ways to help customers be more successful. In fact, they went through an entire internal reorganization to help them be more customer success centric. 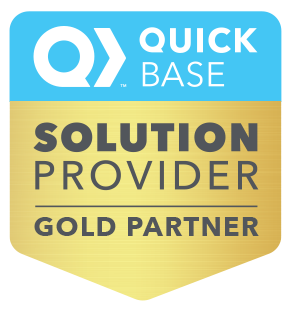 As they seek greater collaboration between developers and Quick Base, they’ll continue to arrive at new ways to help customers get to the best solution possible. Beyond the meaning of the brand name, we’re seeing new capabilities being rolled out that serve as proof points of them striving to deliver on their customer centric focus. Some of the new functionality we’ve seen at a high level includes enhancing end-user efficiency, increasing builder productivity, and simplifying user management at scale. Some of the more specific changes we’ve seen are: the ability to create tabs on forms to streamline navigation, more flexible, built-in navigation, the ability to change the color of buttons in an app, the ability to customize your experience and the experience for your users, and the ability to save and keep working. Individually, these additions help save time. Together, they add up to incredible gains in productivity. From our standpoint, VeilSun has always been focused on customers first and getting them their solutions quicker. 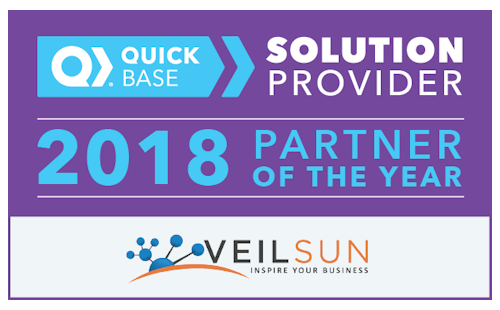 Because we’ve always built solutions like this, we were excited to see Quick Base embrace a more customer centric model as they grow in 2017 and beyond. This brand refresh just strengthens our resolve to be better brand evangelists for Quick Base as we constantly seek new ways to deliver exceptional solutions for our customers.